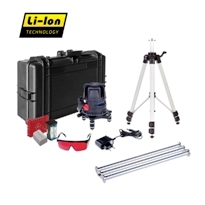 Laser level ADA PROLiner 4V Set. 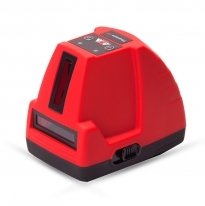 Laser level ADA PROLiner 2V/4V is a laser level for professional usage in the construction and repair. It is ideal instrument during construction and repair works when paving tile laying or other coating, wallpapering and so on. Convenient marking with laser. Laser level projects horizontal laser line in the sector 120°. There are two perpendicular planes when switching on vertical lines. It is possible to switch off laser lines one-by-one. Just select the line that you need for a work. Laser plumb down helps to detect the dot on the floor. Wide scanning angle. The line laser ADA Phantom 2D provides the maximum scanning angle for this class of devices. The vertical line is projected even «overhead» and starts at the height of 7-8 cm from the base of a line laser placed on the floor. Easy-to-use marking for floor leveling. The line laser ADA Phantom 2D generates a horizontal laser plane at the height of only 3.5 cm from the device base. The leveling beacons can be installed without using additional equipment. High accuracy. The line laser ADA Phantom 2 accuracy is only ±2 mm/10 m with the maximum permissible error for this type of line lasers of 3 mm/10 m, which conforms to the general construction requirements. Laser plane display management. The device allows to work only with the horizontal or vertical line for ease of use and battery charge saving. Disabling of compensator alarms allows to mark inclined lines, e.g. in construction of staircases. 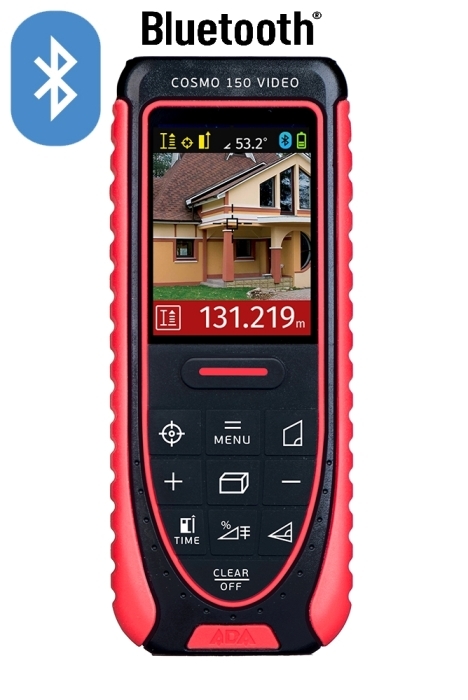 Laser distance meter ADA COSMO Mini 40 is a new and compact instrument for measurements up to 40 m. It is a most suitable laser distance meter in the special COSMO product range. It has minimum quantity of functions for measurements and calculations. Accuracy and distance. 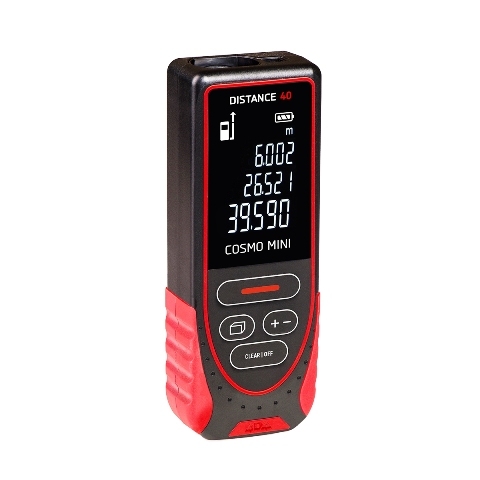 Laser distance meter ADA COSMO Mini 40 is used for distance measurements up to 40 m indoors. Measurement error is ±2,0 mm. 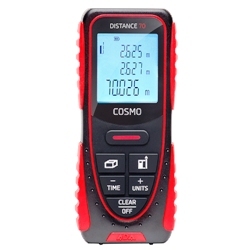 Laser distance meter ADA COSMO 70. Laser distance meter ADA COSMO 70  is a professional laser distance meter that is very simple and easy in usage. The main advantages of this professional instrument is the distance measurement at any light conditions. Even under bright sun ADA COSMO 70 measures the distance up to 60 m with high accuracy. Maximum error is only 1,5 mm. Ergonomic design of the housing for convenient measurements. Protective ribbed parts are at the top and bottom parts of the instrument. They protect the housing from damages. It is very convenient to hold the instrument in the hand. Water-proof and dust-proof membrane keys. Laser distance meter ADA COSMO 150 Video. Laser distance meter ADA COSMO 150 Video is a novelty of 2016 on the market of professional laser distance meters. Unique combination of digital viewer and 360° tilt sensor allow to take measurements that are impossible to take with ordinary laser distance meters. Easy and accurate aiming  viewer with 3X zoom. Built-in digital viewer ADA COSMO 150 Video allows to take measurements with high accuracy in unfavorable light conditions. This is a decided advantage when work outside in sunny weather. Even if the red dot of laser pointer is invisible, it is possible to aim laser distance meter at the object with the help of reticule on the display. Accuracy and distance. Laser distance meter ADA COSMO 150 Video is designed for high distance measurements up to 150 m. Error is ±1,5mm. 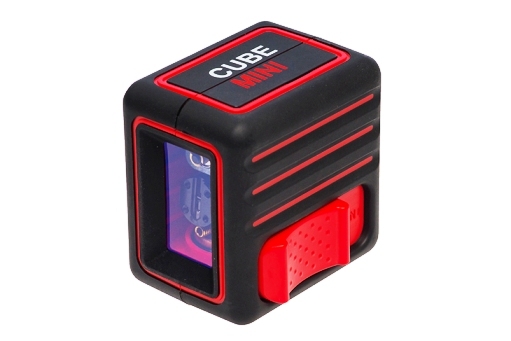 Laser level ADA CUBE MINI is the most compact self-leveling laser level. It projects one horizontal and one vertical lines. Laser lines ADA CUBE MINI are used almost in all applications concerning repair: partitions, laying of communication systems, installation of doors, windows, furniture and so on. INTERSECTING PLANES AT AN ANGLE OF 90°. Due to the intersecting lines (angle between laser planes is 90°) it is possible to make fast marking when setting materials and constructions. Tile laying, attachment of shelves and wall furniture, making partitions and so on. 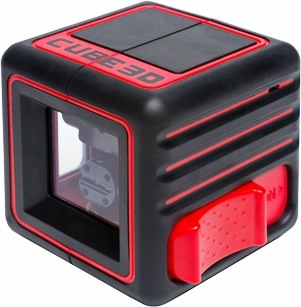 ADA CUBE 3D is the most compact laser level with two vertical and one horizontal lines. With the help of ADA Cube you can do all marking jobs: to hang a shelf or picture on the wall, to hang wallpapers, to place conduit for electric wiring, to set guides for suspended ceiling and so on. VERTICAL MARKING: Due to the vertical lines that are intersected at the angle of 90° you can easily plan the division of the room, make partitions, lay floor tiles and so on. Laser lines will show the position of future walls. Change the position of the level to value the dimensions of planned room. 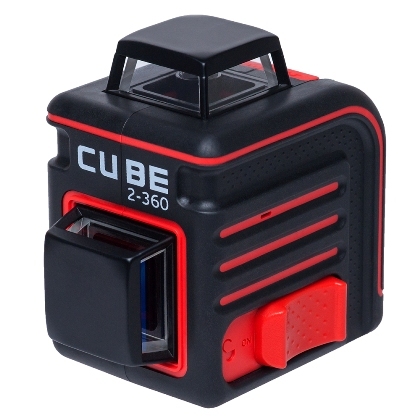 Laser Lavel ADA CUBE 2-360 is a measurement equipment that will be appreciated by professional and private users due to its functions. Thanks to the special emitter the instrument projects 360 degrees horizontal beam. It is ideal instrument during construction and repair works when paving tile laying or other coating, wallpapering and so on.